Fig. 4. 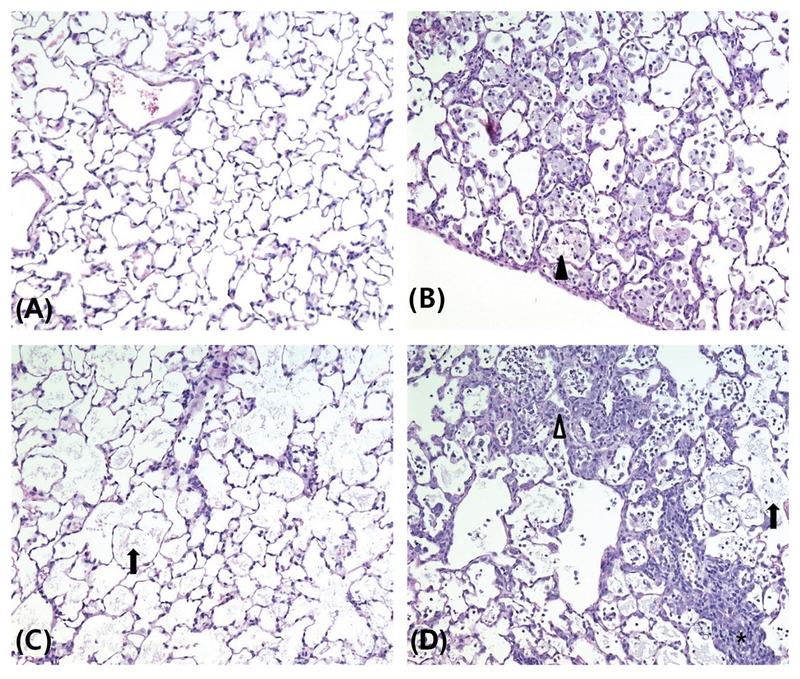 Representative photographs of lung sections from the control (A), 0.5 (B), 2.5 (C), and 10 (D) mg/m3 treatment groups stained with hematoxylin and eosin (200 ×). Alveolar proteinosis (arrow), alveolar macrophage aggregation (arrowhead), alveolar type II cells hyperplasia/hypertrophy (white arrowhead), and inflammatory cell infiltration (asterisk) were shown.